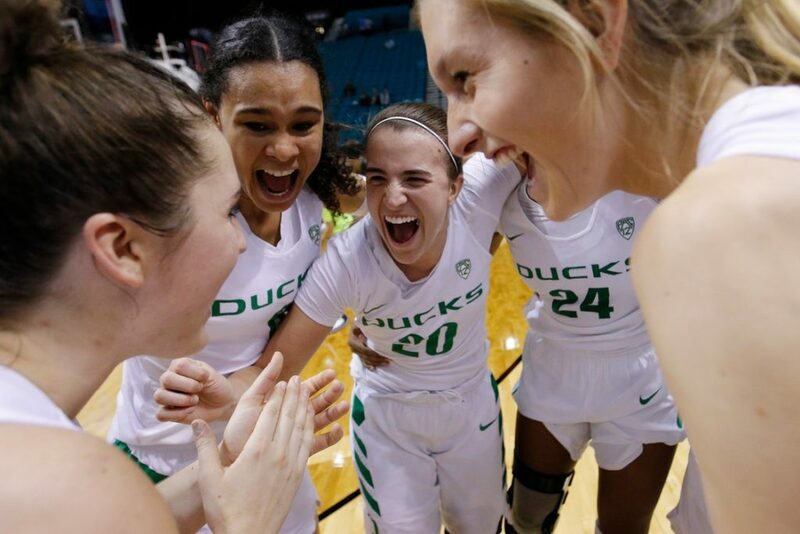 Are college basketball head coaches paid more if they reach NCAA tournament? 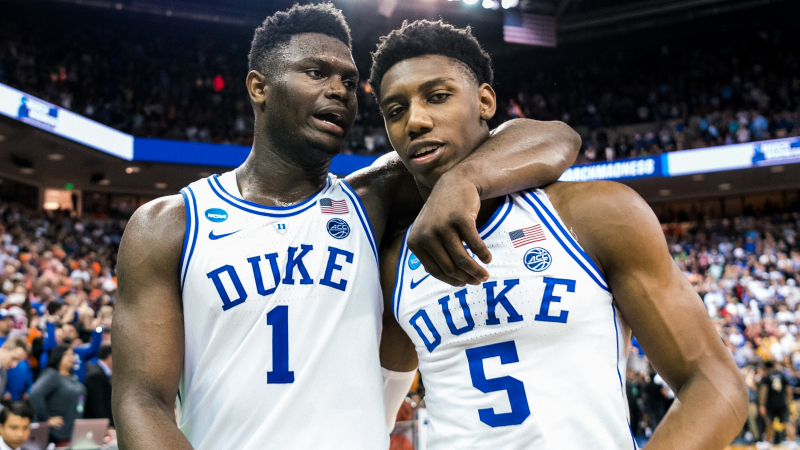 There are 69 NCAA Men’s Basketball head coaches making more than one million dollars each year. 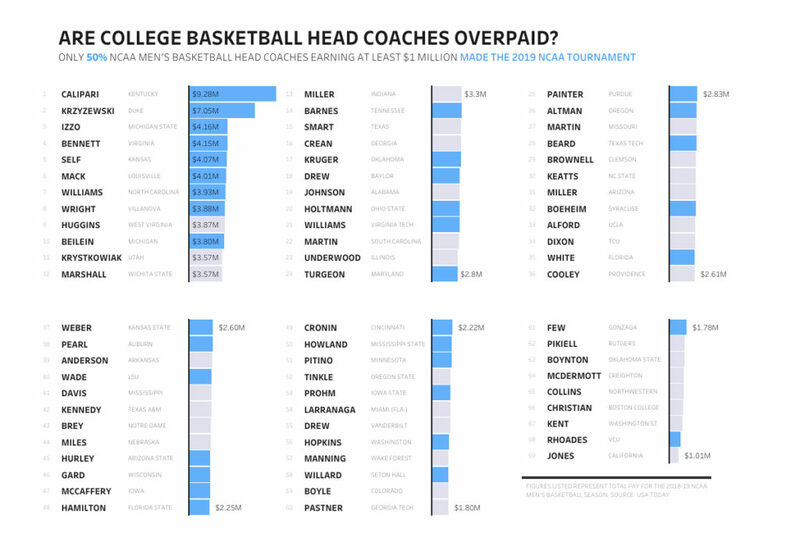 According to a recently published “Viz of the Week” — a weekly curated, interactive, big data analysis of top trends by @davisdataviz only 50% of NCAA Men’s basketball head coaches earning at least $1 million dollars made the 2019 NCAA March Madness. 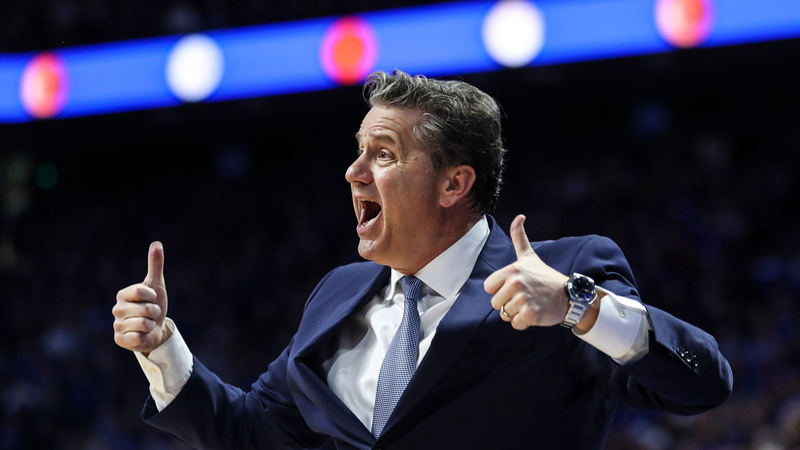 Kentucky Wildcats John Calipari (SEC) tops the list with a whooping $9.28 million dollars followed by Duke’s Mike Krzyzewski (ACC) — not far behind with $7.05 million. Rounding out the top five are Tom Izzo ($4.16M/BIG10), Tony Bennett ($4.07M/ACC) and Kansas’ Bill Self representing the Big 12 with $4.01M. By conference, the ACC occupies four out of the top ten spots of highest-paid coaches. Despite being a NCAA tournament mainstay Gonzaga’s Mark Few standouts as the 61st ranked earner. What other take insights and visualization are you able to spot? Drop a comment.